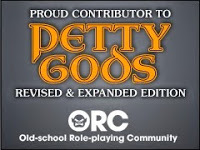 This week's Free GM Resource is a rather large collection of files generously made available by the folks over at Paratime Design. I was quite surprised at just how many freebies that have, especially when compared to the few products they have available at Drive Thru RPG. The primary artist, Tim Hartin, makes most everything available under the Creative Commons Attribution-Noncommercial-Share Alike 2.5 Canada License. Among these files are a bazillion individual maps, many sets of bundled maps, and even an adventure. 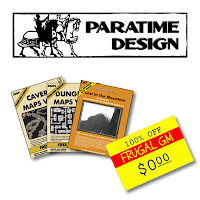 There are so many maps that Tim has made available that I'd recommend just bookmarking the various pages and downloading maps as you have need. I haven't read the adventure yet, but I'm looking forward to it.